By a special and very generous arrangement from Omega Institute, Innersource was allowed to offer 10 of our EEM practitioner scholarships to Omega's groundbreaking conference on using mind-body approaches with veterans being treated for the aftermath of trauma. The conference was powerful, with more than 230 people attending, ranging from therapists in private practice to military officers in uniform. 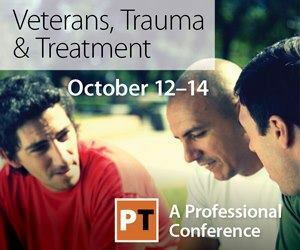 Inspiring keynotes were by some of the luminaries in trauma treatment, including Bessel van der Kolk, Peter Levine, Roland McCraty, and Jon Kabat-Zinn. TV personality Montel Williams gave a fascinating evening keynote. David offered a well-received session on Energy Psychology. This changed the way I view returning vets. It was a wonderful way to network with like-minded people working with veterans and their families. It not only gave us insight into the trauma but gave solid treatments. The depth and range of knowledge and experience of the presenters as well as the other participants were both impressive and inspiring. It was a breath of fresh air to freely discuss the science and applications of Complementary and Alternative Medicine approaches without having to justify at every turn their efficacy and effectiveness or our experiences and training. It was particularly exciting to hear advances across many fields from the researchers who did the work. I have a greater understanding of the physical, emotional, and mental traumas caused by PTSD and traumatic brain injuries, and their effects upon veterans' families. It was particularly exciting to hear about new treatment modalities for helping veterans overcome their traumas and limitations. I was so happy to see Dawson and David speak about Energy Psychology as it is so helpful for trauma with veterans. In fact in many breakouts that weren't on energy psychology I wished the instructors were aware of how helpful EP tools are for trauma. We had a wonderful group that were all blessed by David, you, and Innersource awarding us scholarships and making it possible for me to be part of this weekend. For that I will be forever grateful. I feel Blessed to have been part of the veteran's conference and have so much gratitude to you and David for allowing me to attend on scholarship. . . . Once again I thank you so much for the scholarship and will continue to pay forward all that I learned. It is so hard to say what was the best or most rewarding part of the conference. I loved it all...so much positive energy, so much knowledge, and so much hope for the future with alternative medicine for our veterans! The speakers were so passionate about all they do, and I left with such a warm hopeful feeling radiating through my body. It was an honor for me to meet David and Dawson as their research and publications have been a huge help in developing our work with veterans. All I can say is it was one of the best weekends I can remember and thank you so much! Thank you, Dondi, and thanks so much to David and Donna for making it possible for me to attend this memorable and extremely important conference. I feel so honored to have been a part of it. It was so nice to meet the other people in our EEM group and to hear what they are doing in the field. Our meals were oftentimes just as informative as the sessions! I understood before I arrived that we are in a crisis with so many of our veterans returning home with PTSD. Dawson Church brought this home in a powerful way when he said that "the lifetime cost of treatment for PTSD is $1.4 million" per veteran. The keynote and breakout on Heartmath motivated me to start using some of the tools for heart coherence on a regular basis. Watching Peter Levine work with a small baby using his somatic experiencing model was amazing. We saw the process unfold as the baby was able to complete the unfinished work of moving through the unprocessed earlier trauma. Within a short time, the baby's whole affect softened and he was able to finally relax into his mother's love. Beautiful! The trauma is held in the body. As veterans tell their stories to therapists, they rev up their fight or flight chemicals and their bodies respond with endorphins to ease the pain. This rush of uppers and downers is highly addictive. After the sessions, the people often feel bad and develop a feeling of dependency on the therapists, and the addictive cycle continues. It would help to give veterans tools to use on their own for self-regulation. Within one hour of the same thoughts running through the mind, synapses in the brain double in number. Thus as veterans have repetitive flashbacks or ruminate on the same bad memories, their PTSD and TBI gets worse over time. Bessel...I always learn so much from him. He is brilliant. He talked about the importance of the concept of heart rate variability. And he said, importantly, that people don't recover from PTSD by telling their stories, as so many therapists believe, but by going within and befriending the internal. The rational brain, says Bessel, has NO pathway to the emotional brain. 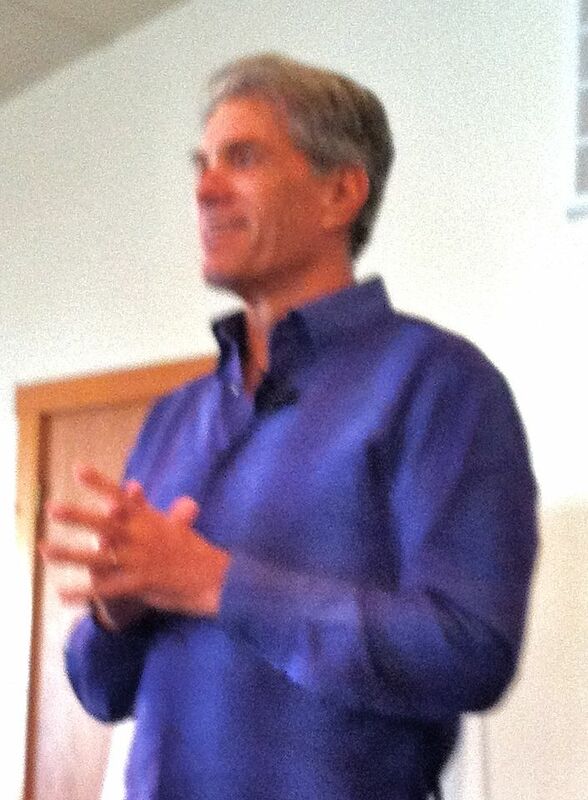 One of the most powerful presentations for me was Jon Kabat-Zinn. He said that we need to come to our senses on every conceivable level. The heart of mindfulness is relationality . . . He said, "A wandering mind is an unhappy mind" and that 50 percent of the time, our minds are wandering and not happy. I love the new tapping points that David showed us, that Donna came up with, and will be using them in my sequences. Another incredible presentation was Montel Williams and Dr. Yuri Danilov. Their work and revelations with the PoNS device, and the hope that promises for our vets, was something entirely new. Many people I spoke with about it said the same thing I was thinking: This could change everything. Everything!! I totally believe that Montel will bring this to fruition. Montel Williams's talk stands out for me as well. There appears to be a life-changing device to help people with MS, Parkinson's, traumatic brain injury, etc. I have shared that information with clients and friends who suffer from those diseases and they were so very grateful and hopeful. The autonomic nervous system is the means by which energy techniques (magnetic, electrical, and natural energy) affect the body. A very hopeful note was struck in the closing presentation by Dr. Tracy Gaudet when she talked about the new direction the VA is taking in addressing the vet's healthcare needs by moving to a more client-directed model. Her passion and commitment to making this a reality was extremely exciting and a great note on which to send us back to our work with vets.